This Single-Handle Kitchen Faucet in Stainless gives you a practical and hardworking solution that was designed to last a lifetime. With the single-control handle, you can easily adjust both the water flow and temperature. The high arc spout swivels 360 so you have flexibility and greater reach in rinsing food, dishes and the sink. HiRise faucets combine the concepts of vintage plumbing with the strength and beauty of stainless steel to create truly sophisticated designs. 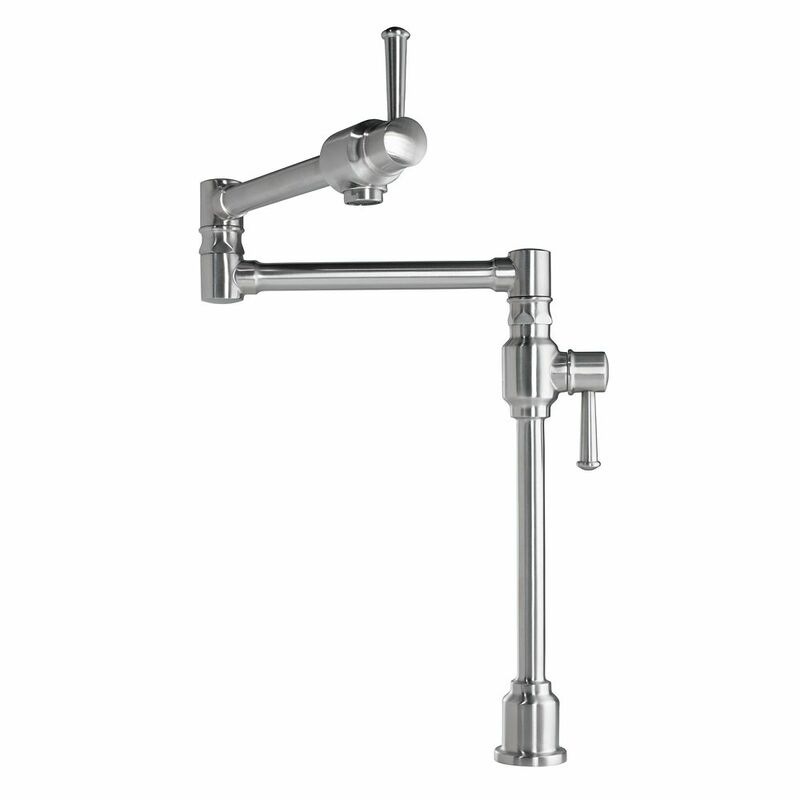 This deck-mount bridge faucet reintroduces a classic design that suits urban lofts as well as traditional kitchens. The high clearance of this gooseneck swing spout allows you to easily fit larger dishes underneath for cleaning, and its fully rotating design makes it convenient for prep and cleanup tasks. This faucet is outfitted with easy-to-install and leak-free UltraGlide(TM) valves for excellent performance.